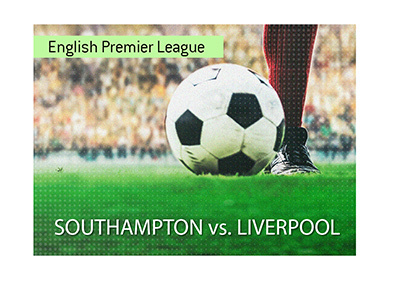 Friday's English Premier League game between Southampton and Liverpool holds importance for both clubs, though for Liverpool, the game is most certainly a must-win. Southampton, which will be hosting Friday's contest, enters this week five points out of relegation. Southampton and Burnley FC both sit five points ahead of Cardiff City, and a win or draw for Southampton on Friday would go a long way towards securing the club another year in the EPL next season. For Liverpool, the game is a must-win. A draw will not do, and a loss would be disastrous. Man City and Liverpool currently sit at the top of the table as of this moment, with Man City maintaining a slim 1 point lead with six games left to play. Man City is playing nearly flawless football right now, and Liverpool can not afford any slip-ups if they hope to catch Man City by the end of the season. With Man City holding the clear edge in terms of goal differential, Liverpool must make up two points between now and the end of the season, which is why Friday's contest is a must-win. Liverpool has not lost in English Premier League play since dropping a 2-1 decision to Man City on January 3rd. Since that team, Liverpool has won seven times and drawn four. Southampton, on the other hand, has been uneven - they have the capability to look terrible one week and surprise the next. Just ask Leicester City, Everton and even Arsenal about that. Liverpool is the league's best away club so far this season, as they have managed to notch 35 points away from the friendly confines of their own stadium. Southampton, on the other hand, has been terrible at home this season, tallying just 18 points over 15 total games. Liverpool has the league's second best offence (behind Man City) while possessing the best defence in the league. Southampton is likely in trouble in this game as Liverpool will be playing with a tremendous amount of urgency.